It’s obvious that Jerry White “gets” kids. 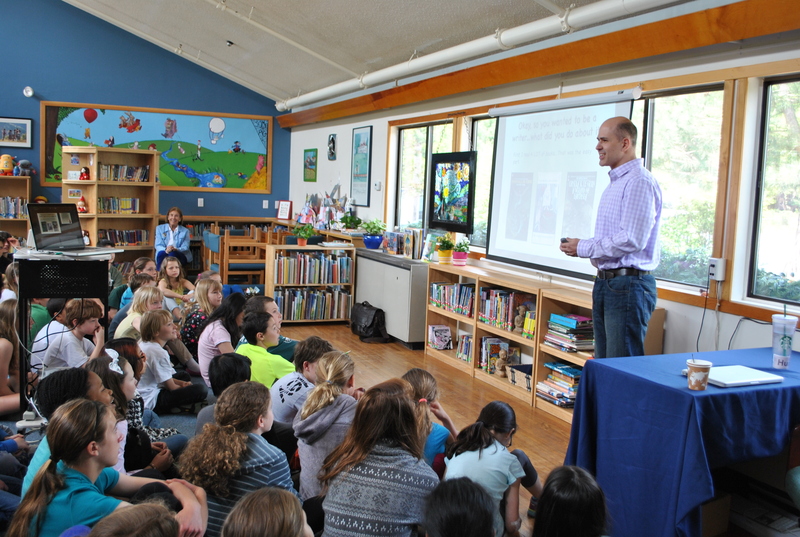 He’s a third grade teacher and the author of The Thickety, the first installment of a new middle grade fantasy series, and during his visit to Inly yesterday, it didn’t take long for the kids to look at him like a rock star. He was engaging and funny and talked about how fun it is to be scared! 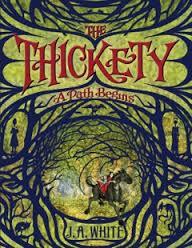 I haven’t read The Thickety yet, but Arna Lewis, the co-owner of Buttonwood Books and Toys was at the event, and she said it’s creepy in the best way. “Being frightened builds character,” White told our students. The kids couldn’t wait to get the book, get a flashlight, and dive under the covers! He talked to the kids about how much reading affects his writing. As a child, he loved A Wrinkle in Time, The Wizard of Earthsea and novels by Lloyd Alexander. White also emphasized the importance of reading short stories. That’s cool. I couldn’t recall another author talking about the often-overlooked short story. But, as White said, most students begin by writing stories rather than novels and stories by writers like Ray Bradbury are essential to understanding the structure of stories. ← Going Places with Paul Reynolds…. The eleven year old I know heard the author speak and she is now obsessed with the book. She is so excited about what he said and anticipating just how frightening the book is going to be! I know that eleven-year-old! I hope you’re doing well….